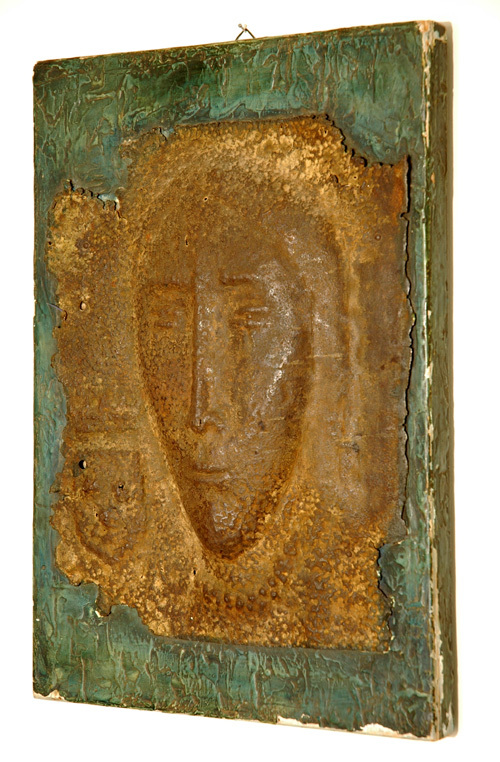 Unusual piece of art featuring a face and shield or coat of arms (a Knight?) formed in relief in thin metal sheet mounted on a board constructed from ply and solid woods. Condition: Some paint loss to edges of mounting board.